A live streaming “turtle cam” has captured almost one hundred loggerhead sea turtle hatchlings emerge from their nest on the Florida Keys beach and make their way towards to ocean. The tiny, three-inch turtle hatchlings crawled out of their nest into the ocean on Friday, at around 9 p.m. Key West time. The HD camera used infrared light to capture the adorable animals, so as not to frighten them with lights. The live cam caught the sandy egg mound where nearly one hundred eggs lay. Suddenly, the eggs start caving in, and the tiny little turtles start coming out. 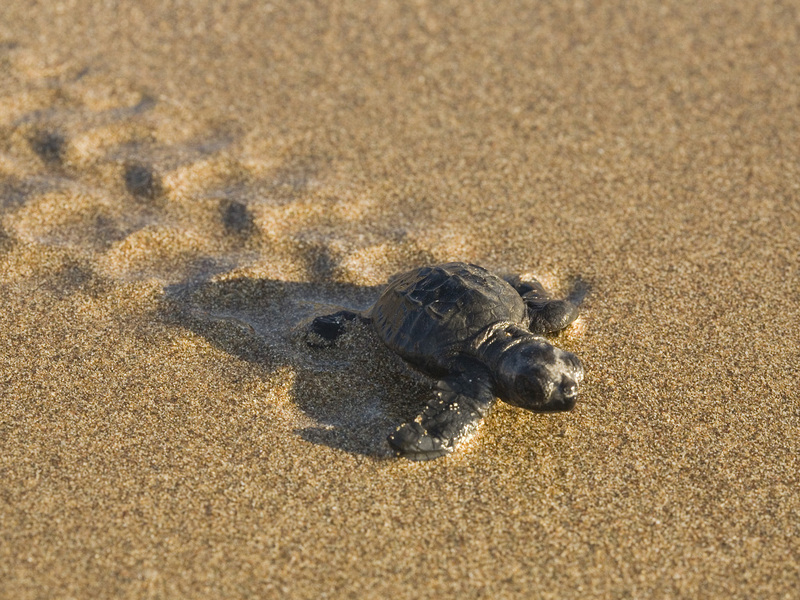 The sea turtle hatchlings then begin quickly crawling towards the ocean, where they will be safe. They use the reflections of the moonlight on the water to safely guide them into the water. Soon, the tiny, three-inch loggerhead sea turtle hatchlings will grow into huge three-fool long adults. Loggerhead turtles can live to be 65 years old, with the female turtles coming to the beach to lay eggs every two to four years. The cameras are funded by the Florida Keys tourism council in an effort to draw more attention to the loggerhead sea turtles and the need to protect them. The loggerhead sea turtles are a threatened species, but the Florida Keys tourism council hopes to change this status by increasing awareness of the species. A link to the Florida Keys turtle cam can be found here, and the video of the adorable turtles can be found below. If you ever find the need or interest to record streaming media from the internet, you need to check out the Replay Capture Suite. The Replay Capture Suite is a bundle of the best programs for recording and editing media from your favorite sites like ESPN, YouTube, Facebook, Netflix, Pandora, Amazon Prime Music….. The Replay Capture Suite has everything you will require for your internet recording needs. so what is the URL for this cam? We humans are a blight to the earth and all of it’s plants and animals. God help us all.